Eleven members of the 18-person strong third student team for MIST. This team will work during the spring semester 2016. Swedish astronaut Christer Fuglesang (director of the KTH Space Center) and project manager Sven Grahn stand in the middle of the team. The two female members of the student team were not present when the picture was taken. 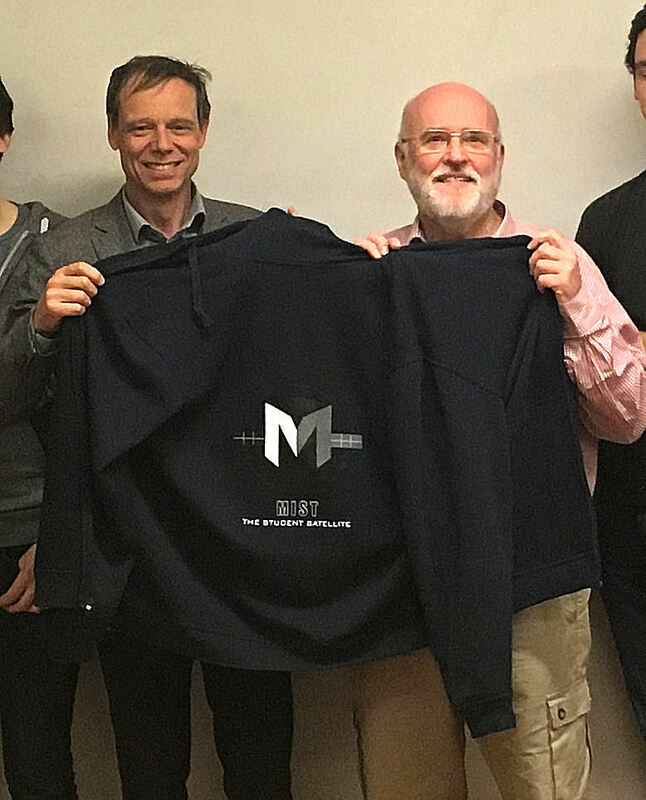 Christer Fuglesang and myself hold a “hoodie” with the MIST logo that students get and which they are meant to wear on campus to spread the word about the Project.